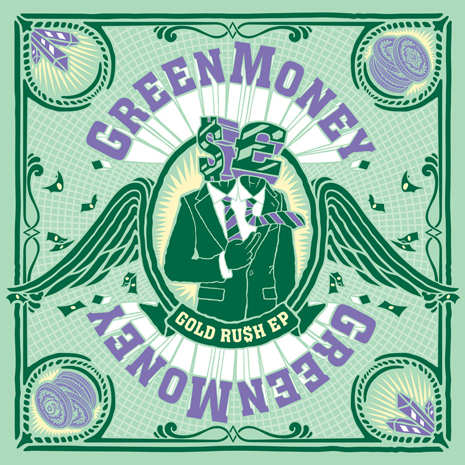 In case you’ve been living under a bass-proof rock the past few months: Greenmoney is Alex Phountzi (formerly of Bugz In The Attic crew) and Leo Greenslade (party selector extraordinaire behind London’s long-running YoYo bash), who combined forces to push a forward-thinking UK sound that’s still rooted in dance classics and their collective DJ / production history. 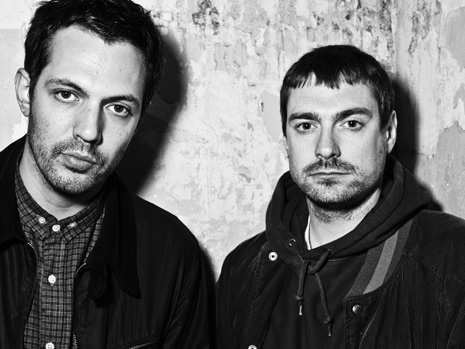 You can hear the mash in action on their weekly radio show for Ministry Of Sound, and in featured guest sets on Annie Mac’s Presents tour and in-demand club and festival appearances alongside Jack Beats, Sinden, Skream, Rusko, Fake Blood, and more. Tune-wise, they’ve built up an extensive remixography over the past year (Kid Sister, Kid Cudi, Boy 8-Bit, Lily Allen), but their FG debut Gold Ru$h is the real deal mission statement: a blazingly hot mix of funky house, dancehall, and hip-hop like no other, featuring guest vocals from Serocee, Mz Bratt and Lady Chann over submarine kickdrums, attack snares and rave sirens galore. The Milk "Danger (Greenmoney Remix)"